PROBLEMS WITH YOUR ITEM. We are more than happy to help you try to resolve any issues you have. A new unused item rescued from a factory closing event. This is a 30 Amp, 2 Pole, 240V, Fused W/N Type 3R GD. KEYED SELECTOR SWITCH. If you require any liftgate services. Warehouse Location:JD-21. 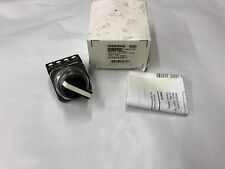 NEW SIEMENS I-T-E DISCONNECT SWITCH MCS603R SERIES A NIB FREE SHIPPING!!! Operator maintained, illuminated, red LED button. 125 volts ac. DEPENDING ON THE ITEM WE MIGHT BE ABLE TO WORK OUT A BETTER PRICE FOR YOU! PER PICTURES. NEW IN BOX. THE BOX MAY SHOW MINOR SHELF WEAR. Catalog No: GNF322. Model: GNF322. Disco Type: NonFused. APPROVAL UL. (LOT OF 3) TOTAL OF (3) UNITS FOR PRICE LISTED, ONLY ONE IN PHOTO. (LOOK UNDER SURPLUS PARTS). Local Pick-up is an option. Push button:- 6mm. 5 Pieces per lot. 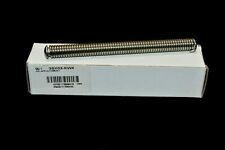 THE PART NUMBER IS 3SB3400-1D. Make Supersized Seem Small. Suppression Diode. New in Bag! USED WITH 30/60A 600V DISCONNECT SWITCH. Pickup is available from 8am – 4:30pm. We have a 14,000 sq ft, staffed facility with loading dock and drive up. Complete Pushbutton Units - Illuminated, Flat Buttons. This does not apply to machines sold “as is” or “subject to inspection.”. We take pride in the products and services we provide. Every effort is made to note any missing hardware / manuals / inserts from NIB and NEW products, however, in most cases it is not known what was originally included. ALL PRODUCTS SHOULD BE THE LOWEST AVAILABLE PRICE. ALL MCBS,RCBO'S, RCD'S ETC ARE ALL TESTED IF THEY ARE NOT BOXED/SEALED. PART NO:5WG1284-2AB01. BROWNES ELECTRICAL SUPPLIES.